In the 1970s, Afghanistan was a global leader in the production of high-quality dried fruits and nuts. Unfortunately, due to conflict and the unstable economic climate that followed, the country’s farms were unable to invest in the modern technology needed to keep up with global demand. Ziba’s mission is to help re-establish Afghanistan’s position as a world-renowned producer of the highest quality dried fruit and nuts.  When did Ziba Foods begin? Ziba Foods was incorporated in 2015 by four, like-minded American and Afghan partners. Their first goal was to set up one of the first fully-certified processing facilities in the Afghan capital, Kabul to sort, clean, grade and pack bulk products for international wholesalers. In June of 2018, Ziba launched its retail business in the United States and a few months later in the United Arab Emirates. What are some examples of Ziba products’ higher nutrient levels? Ziba’s apricot kernels and almonds exceed the protein and Omega 3 contents of their California origin counterparts. In which countries can I find Ziba products? Ziba currently ships nationwide in the United States, the United Arab Emirates, India, Japan, and Singapore. Ziba means beautiful in Dari and Farsi, languages spoken all over Central Asia including Afghanistan, Iran and Tajikistan. How does Ziba empower its female employees? One of Ziba’s core missions is to empower the people in the communities where we operate, with a specific focus on helping Afghan women. In a country with limited access to education and extremely high unemployment rates, women rarely get the opportunity to go to school and attain the skills necessary to support themselves and their families. Ziba’s workforce at its Kabul facility is predominantly female. Ziba employees not only receive full-time employment and earn above a living wage, but they also have access to English lessons and are taught the skills necessary to work with the modern machinery in the factory. With their full-time employment and ability to support themselves and their children, several female Ziba employees have been able to improve their lives and escape difficult living conditions. Are Ziba dried fruits and nuts organic? Due to Afghanistan’s limited farming resources and political climate, an organic certification process is extremely difficult to implement. Most Afghan farmers do not have the capital to invest in sprays, synthetic fertilizers, and chemicals to maximize their yield. Therefore, while we cannot say Ziba nuts and dried fruit are certified organic, the methods and farming practices used technically are. For example, our white mulberries grow wild in the Hindu Kush mountains and are harvested by the local community. What do we mean when we say Ziba is sustainable? The process of cultivating fruits and nuts require an enormous amount of water. Unlike drought-ridden California, Afghanistan’s climate and plentiful water supply from the surrounding mountains make the country’s land optimal for the sustainable growth of fruits and nuts. When is Afghanistan’s harvesting season for nuts and dried fruit? Afghanistan’s fruit and nut trees blossom in early March. The fruits and nuts then grow through the hot summer months and are harvested from mid-June to October. What's the shelf life of Ziba products? Ziba nuts and dried fruit have a 12-month shelf life. For best quality and flavor, we suggest that once opened, refrigerate figs and mulberries and consume within 30 days. All Ziba products are vegan with the exception of Kandahar figs. Fig flowers grow and ripen only after having been pollinated by wasps, which can remain inside the fruit, so technically these deliciously sweet delicacies are not vegan. Are Ziba dried fruits and nuts non-GMO? Ziba dried fruit and nuts are harvested from orchards and valleys that have been growing the same varietals for centuries and have not been genetically modified. Are any of the Ziba dried fruits and nut products nut-free? While many of our products are nut-free, including mulberries, figs, apricots, raisins, and licorice, Ziba’s Kabul facility is not. In the future, we hope to offer certified tree nut-free products. Ziba’s dried fruit and nuts come from plants whose traits pass from generation to generation through open pollination. Before the drastic reduction of breed varieties caused by the rise of industrial agriculture, nuts and dried fruit drew their flavor and nutritional profiles from the geographies in which they were grown and from the manner in which they were handled by farmers. In Afghanistan, things have remained unchanged for centuries, with families handing down seeds through generations to grow on family-run farms. How are Ziba’s mulberries, pistachios and licorice “wild grown” foods? In Afghanistan, the majority of the pistachios grow on un-owned land. Provincial governments set annual quotas and allow each village to harvest set amounts. The families either sell the pistachios to the local cooperative or use them at home. No one tends to the trees, which grow wild on mountainsides. Mulberry trees also grow wild or are planted each year by people as an act of goodwill. What products does Ziba currently offer? Check here for a an updated product list! Are Ziba’s apricot kernels safe to eat? Ziba’s apricot kernels are definitely not poisonous; in fact, they are considered a superfood. Unlike most apricot kernels around the world, Afghan varieties contain very low levels of amygdalin / cyanide (B17), which in very high concentration, can cause illness. Ziba’s Roasted & Salted Apricot Kernels contain the same minimal levels of amygdalin found in most almond varieties.